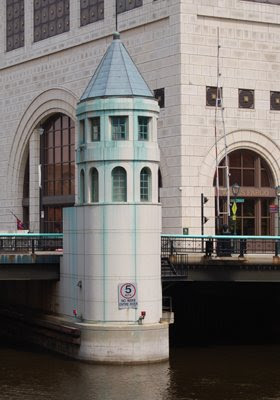 This is the bridge tender's station on the Wisconsin Avenue Bridge over the Milwaukee River. The white stone surface of the tower has become stained green over time from the water that has dripped from the copper roof. To the right of the tower, you can see one of the traffic barricades that drops when the bridge is about to open.